2.Remove that and pour oil in the pan and heat.Meanwhile grind the coconut, and dry fried peppercorns and cumin seeds. 3.Splutter cumin seeds and then fenugreek seeds. 4.To this add the ground coconut mixture and saute for a while. 6.Slide in shallots and garlic cloves and saute for a few minutes on medium heat. 8.Serve with rice and pappad. 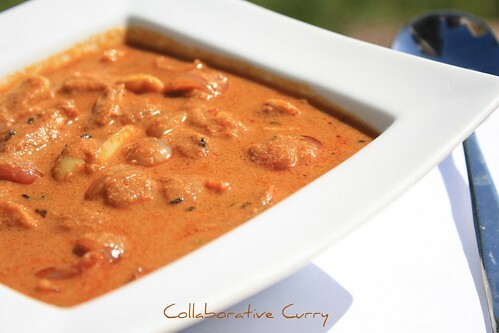 You could add vegetables like okra, brinjal etc to this curry. I just love pulikuzhambu although I make it in a couple of different ways of which this is one. We call this kaara kuzhambu though. Anyway, I cannot agree with you more on the tangy, spicy and yet tasty part. I like it a lot with rice and fried papad though :-). Its yummmm and tangy!Truly delectable with rice..makes me drool..
Good one da.. you come with some nice curries when I am stuck with sambar all the time.. Thanks for sharing. nice post dear...............curry looks tempting. My mother used to make this kuzhambu often. I particularly like it when channa is added.. the pic looks very tempting! Beautiful click.. I love the tanginess in it!! love this recipe....excellent click, dear..looks yummy! Beautiful picture as always!The dish sounds wonderful pouring all over a bowl of lemon rice! I love such tangy curries...looks delicious. Sigh...give me some hot rice and thia kulambu..i will eat away to glory..I too make it too many variations..nice click. That looks delicious! Could I make it with cauliflower? Waah! Pulikuzhambu is superb! It looks spicy and appetizing! Looks lovely. One of my all time favorite. Looks like a tangy dish and a great tongue tickler. First time hearing the name.Looks very delicious.. Thanks for this recipe Namitha! 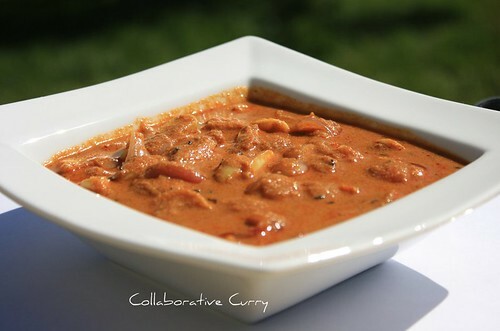 I used to luv this curry when we were in Chennai and never made it my self,infact was searching for this recipe for quite sometime.I think the another attractive part of this curry is you can enjoy a very tempting dish even when there is hardly any veggies left in your fridge! I love this gravy,My aunty will prepare this delicious gravy for me.urs looks similar.